External Affairs Minister Sushma Swaraj on Sunday proposed the establishment of air freight corridors between India and Central Asia on the lines of an air corridor between India and Afghanistan, which was operating very successfully. 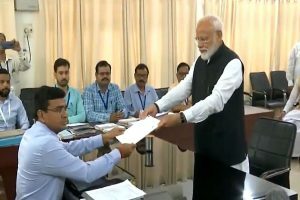 India would like to organise a ‘Dialogue on Air Corridors’ with the participation of civil aviation authorities, air freighters and aviation companies of India and Central Asia so that goods, including perishable items, could be transported efficiently and swiftly, she said. 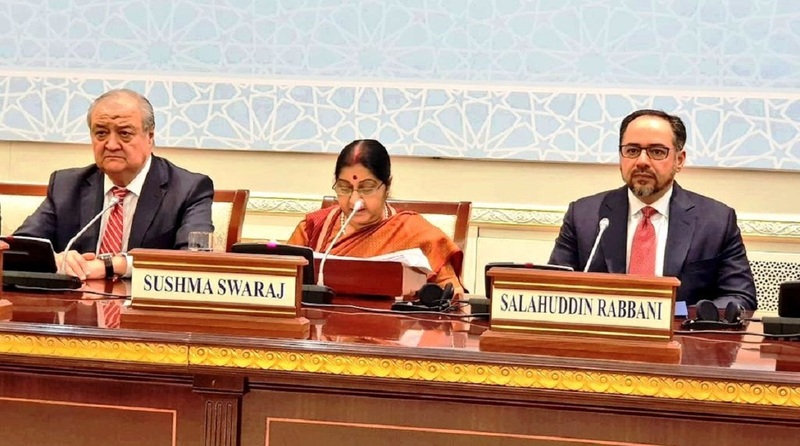 Swaraj was speaking at the 1st India-Central Asia dialogue in Samarkand (Uzbekistan) being attended by the foreign ministers of five Central Asian countries—Kyrgyz Republic, Tajikistan, Turkmenistan, Kazakhstan, and Uzbekistan–and Afghanistan. The dialogue is intended to develop viable connectivity options between India and Afghanistan and Central Asia to further facilitate trade and economic activity in the region. The Indian minister said that while geographically Afghanistan and Central Asia were landlocked, there were several ways in which they could join hands with India to work on promoting connectivity in the region so that trade and commerce might flow between them and their people to people exchanges might prosper. Swaraj informed the gathering that Iran was holding the Chabahar Day International Conference on February 26 at the Chabahar port to introduce to the invited delegations the capacities of the port. She urged the participants at the meeting to make the Chabahar conference a grand success. In an obvious criticism of China’s Belt and Road Initiative (BRI), she said all connectivity initiatives must follow principles of financial responsibility and be pursued in a manner that respected sovereignty and territorial integrity. India opposes BRI on the ground that its flagship project, the China-Pakistan Economic Corridor (CPEC) runs through the Indian territory occupied by Pakistan. Expressing India’s full support for Afghanistan, Swaraj said the violence and terror imposed on the Afghan people should end. A peaceful and stable Afghanistan, which lay at the heart of Asia, could be a bridge to connect Central Asia and South Asia, she added.